Permanent Representative of Kuwait to the United Nations Ambassador Mansour Al-Otaibi addressing the Security Council session. 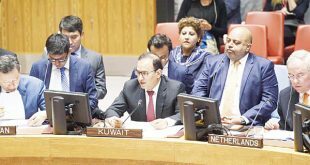 NEW YORK, May 23, (KUNA): Kuwait Representative to the UN the suffering of civilians and brining the culprits of human rights abuses to justice. Ambassador Al-Otaibi condemned the countries that illegally provide arms to parties to conflicts, particularly those accused of attacking civilians. On the Syrian conflict, he noted that the UN Security Council Resolution 2401 provided for 30-day cessation of hostilities, medical evacuations and delivery of aid to people in need as per the provision of the international humanitarian law. He reaffirmed Kuwait’s support to the UN-led efforts to find political solutions to conflicts and meet the aspirations of peoples of the world to secure and decent life. Mansour Al-Otaibi said Tuesday the Palestinian people suffer from atrocities and human rights abuses being systematically committed by the Israeli occupation authorities. 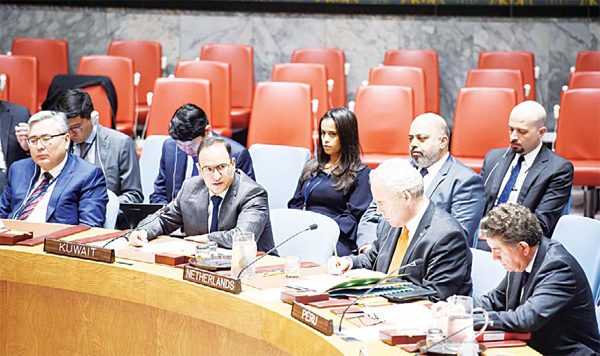 Addressing a UN Security Council session on the protection of civilians in armed conflict, Ambassador Al-Otaibi said the latest such atrocities were committed last week against civilians practicing their right to peaceful demonstration in Gaza Strip. 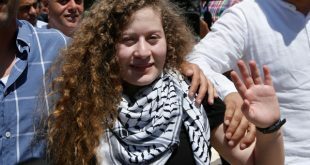 The Palestinian protesters suffered 61 deaths, including eight children under the age of 16, in addition to more than 3,000 wounded, he pointed out. 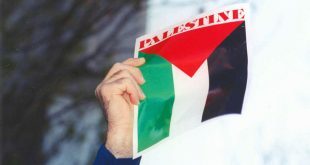 He urged the international community to provide protection to civilians trapped in conflict in various parts of the world, particularly the occupied Palestinian territories. Citing reports of the UN Secretary General, Al-Otaibi said the situations of civilians trapped in conflict still sound the alarm and require radical solutions to stop the loss of civilian life and damage to property. He held the international community responsible for putting an end to the suffering of civilians and bringing the culprits of human rights abuses to justice. Ambassador Al-Otaibi condemned the countries that illegally provide arms to parties to conflicts, particularly those accused of attacking civilians. On the Syrian conflict, he noted that the UN Security Council Resolution 2401 provided for 30-day cessation of hostilities, medical evacuations and delivery of aid to people in need as per the provision of the international humanitarian law. He reaffirmed Kuwait’s support to the UN-led efforts to find political solutions to conflicts and meet the aspirations of peoples of the world to secure and decent life.